Throughout her more than 13-year career in financial services, Jodi has felt honored to have the opportunity to help others. She utilizes her compassion and attention to detail each day, working diligently to take care of – if not anticipate – her clients’ needs, both during the account opening process and throughout the continued maintenance of their accounts. Since Jodi was old enough to get a “real” job, she’s worked for many local community businesses. From her first job at the local Piggly Wiggly grocery store, to a family-owned auto parts store, a family-owned bookstore, a community bank and the local investment company branch, Jodi has been drawn to businesses where strong relationships are formed with the people she serves. She feels gratified in the work she does at Raymond James, a company that enables her to work diligently each day to treat her clients as she’d want her family to be treated. 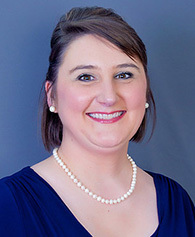 Jodi graduated from Murray State University with a bachelor’s degree in business administration. While at the university, she was a member of the Gamma Beta Phi Honor Society as well as served as secretary and vice president of membership for Alpha Kappa Psi Business Fraternity. Jodi began her career as a teller at Citizens Bank before moving to Community Financial Services Bank, where she served as a teller, relationship banker and trainer. Jodi transitioned to Edward Jones in 2013, serving as a branch office administrator until her move to Raymond James in 2018. Jodi has extensive experience in banking, financial planning and investments. Jodi and her husband, Cory, have been married for 18 years and have two children, Kylin and Adley. Cory currently works as a Marshall County High School teacher, girls track coach and the Benton City Pool manager. Church is a major part of Jodi’s family’s life. They have worshipped with Benton Church of Christ for 17 years. For more than two years, Jodi’s husband has also served as the part-time minister of Fairdealing Church of Christ. Jodi gives of her time as a Bible class teacher at both churches, leading children’s and women’s Bible studies. When she’s not in the office, Jodi loves to spend time with her family, go on vacations, read, shop and be creative with crafty projects. Her whole family enjoys watching Star Wars and Marvel movies together.